The acquittal Saturday of George Zimmerman in a Florida state courtroom has already brought cries by civil rights leaders for a federal civil rights prosecution. On Sunday, the Justice Department announced that it would review the case. 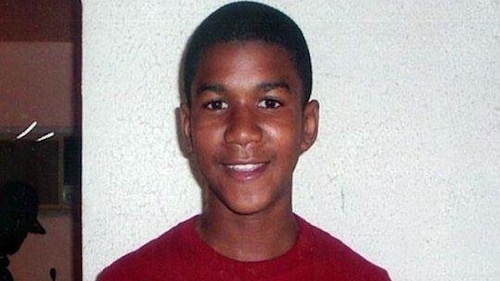 Zimmerman was found not guilty of second degree murder of a 17 year old African American boy, Trayvon Martin. Zimmerman was an armed neighborhood watch volunteer patrolling in his Sanford, Florida townhouse complex because of his concern about some recent burglaries in the area. Martin was returning home in his gray hoodie from a snack run for some Skittles and a fruit drink. Zimmerman pursued him, at least for a time, a struggle ensued, and Zimmerman shot Martin in the chest during the fight. 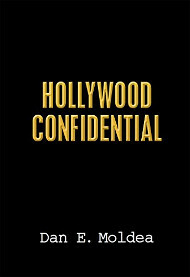 The evidence was murky, emotional, conflicting, and heart rending. A nationwide controversy erupted from the beginning over the racial implications of the case and whether and what to charge. The local prosecutor and law enforcement officers were replaced by state officials who chose to charge second degree murder. Although late in the trial they sought an instruction for the lesser included offense of manslaughter, they clearly focused their evidence, trial theory and argument on murder with malice aforethought and intent rather than on manslaughter based on an imperfect and unjustified self defense. After the not-guilty verdict the charges of racial profiling and counter-charges are flying fast and furious and will undoubtedly continue for some time. My son’s social media is buzzing with a wide assortment of wacky accusations on both sides. Among the protests has been discussion in the media about a federal investigation and prosecution under the U. S. Civil Rights Act, 18 U.S.C. 245. The Double Jeopardy Clause of the U.S. Constitution does not bar such a re-prosecution since the state and federal governments are separate sovereignties. Such cases are rare, however, and require a full Justice Department review. A federal civil rights prosecution requires proof of an intentional interference with a person’s right to enjoyment of public accommodations on the basis of race or national origin. 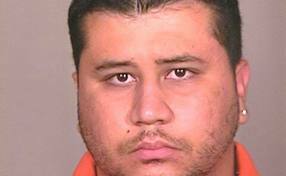 So the question is whether George Zimmerman was motivated by racial animus when he pursued and shot Trayvon Martin. Or more precisely, the question is whether there is evidence and proof of such a motivation. The case and the cries for federal prosecution bring to mind a case of thirty years ago when members of one ethnic group appealed to the public and prosecutors when they were greatly dissatisfied with the lack of state justice, in their opinion, over the homicide of another young man by someone of a different race. Vincent Chin, a young Chinese American was bludgeoned to death by a baseball-wielding white man after an argument in a bar in Highland Park, Michigan. The killer was accused of being motivated by his anger over the success of Japanese auto makers and the effect it was having over American auto workers. Like the Zimmerman/Martin case, epithets were allegedly spoken during the events which preceded the killing. This, the protesters insisted, proved that the killing was racially motivated. Angry protests, supported by the media, led to political pressure on Congressmen, which led to pressure on the Justice Department. Receiving literally thousands of letters, the Detroit U. S. Attorney Len Gilman ordered a re-examination of the record. A young AUSA, John Thompson, did so and concluded that the evidence of race was insufficient for proof beyond a reasonable doubt. His supervisors and Mr. Gilman also reviewed the evidence, came to the same conclusion and recommended no prosecution by the Justice Department. But politics and emotion at DOJ trumped a calm investigation of the facts, the Detroit USAO was countermanded, and a prosecution was ordered in July 1983. At the time, I was chief of the criminal division at the U.S Attorney’s Office in Detroit. After five years of intense effort, including a trial in Detroit, a 6th Circuit Court of Appeals reversal, and a trial in Cincinnati, both defendants were acquitted for the same reason that first AUSA declined the prosecution. Like that of Travon Martin, the killing was a tragedy, but there was not enough evidence of racial motivation to convince the jury that a federal civil rights prosecution was warranted. I do not pretend to know the evidence of the case as well as the media pundits and armchair trial lawyers claim to. Maybe the state prosecutor did overcharge and should have focused on defective self defense theory for manslaughter. Maybe in his mind and his actions George Zimmerman was wrongly affected in his decision-making and mistaken perceptions about a young black man in a hoodie in the neighborhood. But I do know that the jury has spoken after hearing all of the evidence. And I still adhere to the jurisprudential truism that the jury is the greatest truth-finder ever invented. Agree with the verdict or not, there does not appear to be enough evidence of manifestations of a racial basis for a federal re-prosecution. Federal court is not the place to fix every wrong result in state court. Sometimes, however unsatisfying, a case is just over. Posted: 7/14/13 at 3:12 PM under News Story.